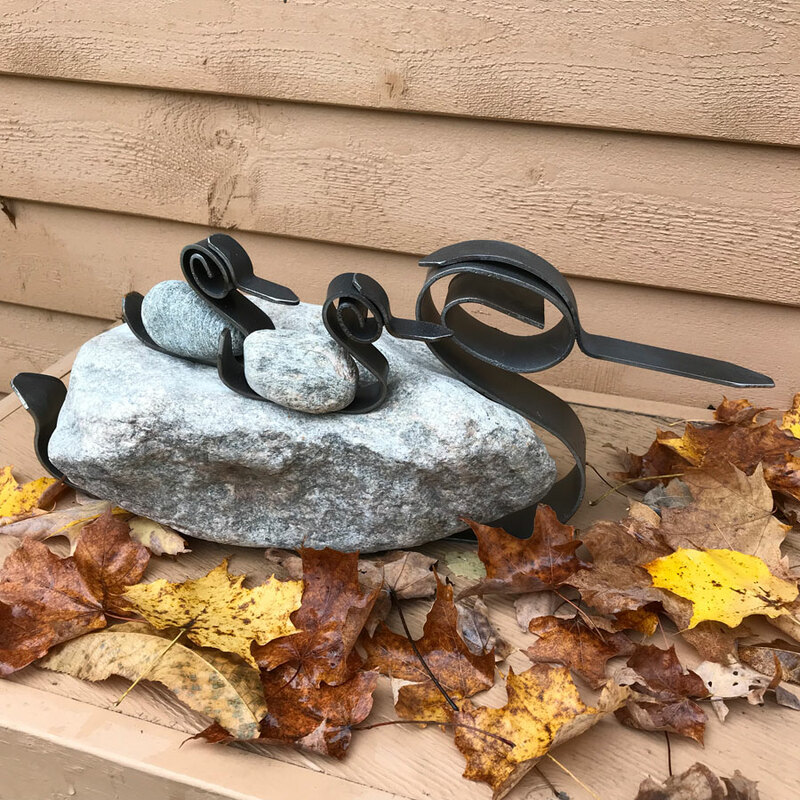 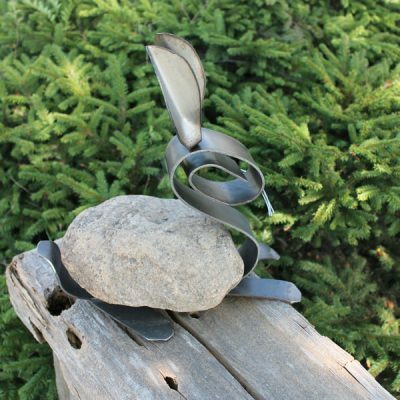 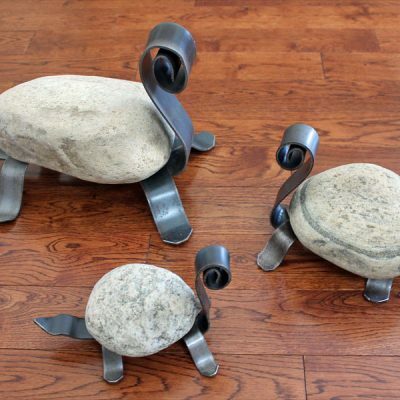 Natural yet unique garden sculptures using a simplistic blend of metal and rock. 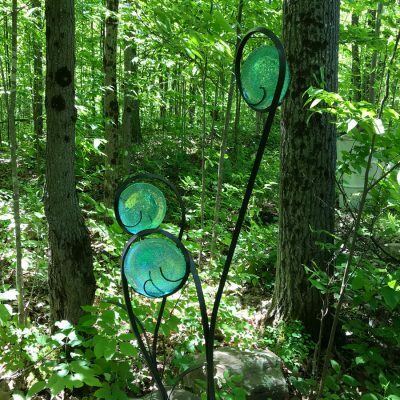 This artist is number 2 on the Studio Tour map. 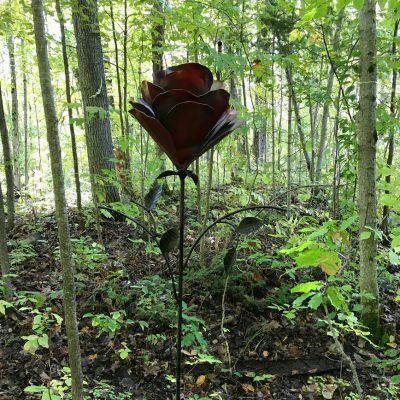 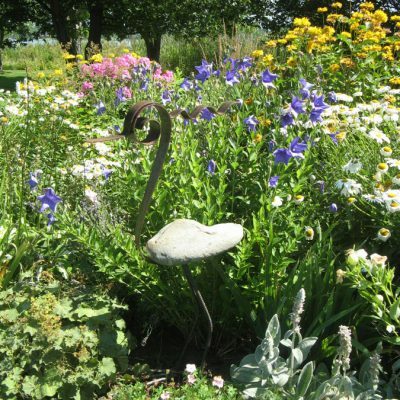 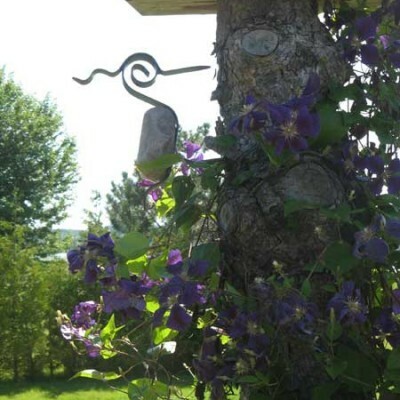 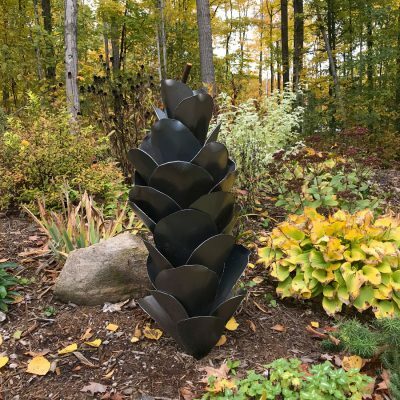 A passion for gardening and a love for nature is inspiration for Sandy Cogar to create unique sculptures that will complement any garden setting and make a statement. 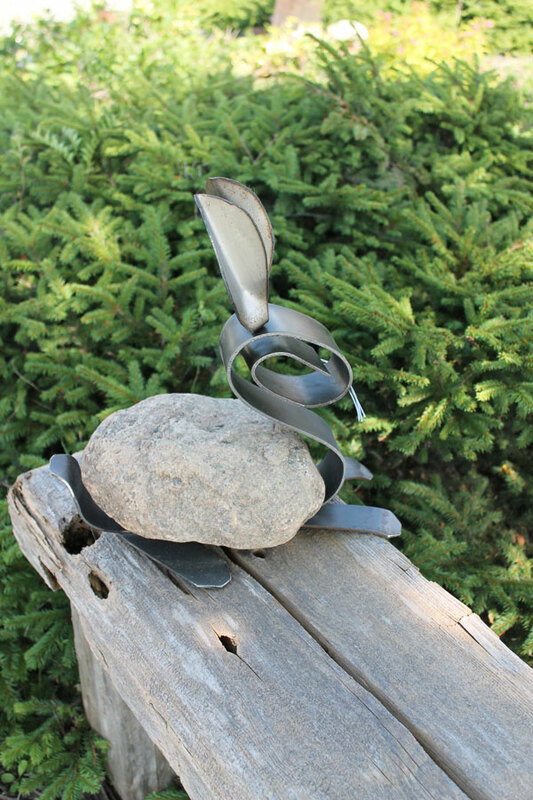 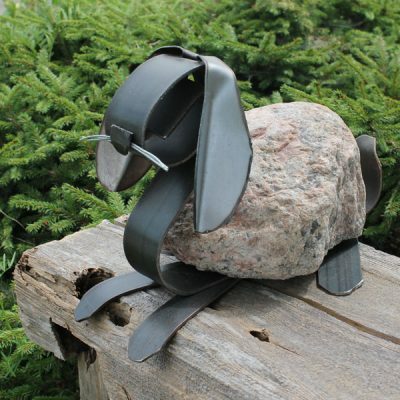 The simplistic blend of metal and rock give her quirky creations a rustic and natural look. 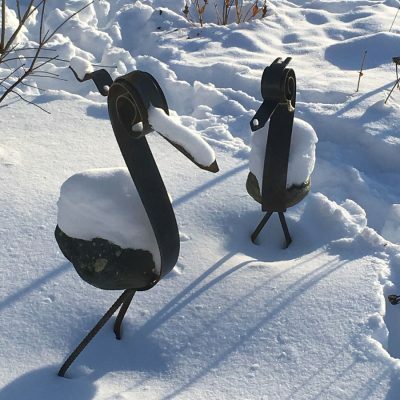 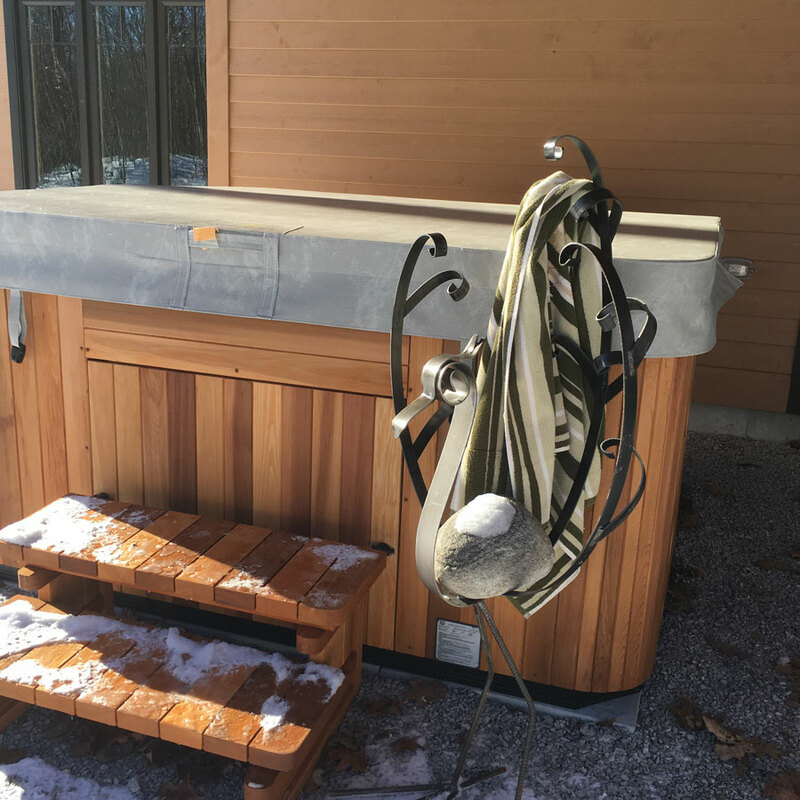 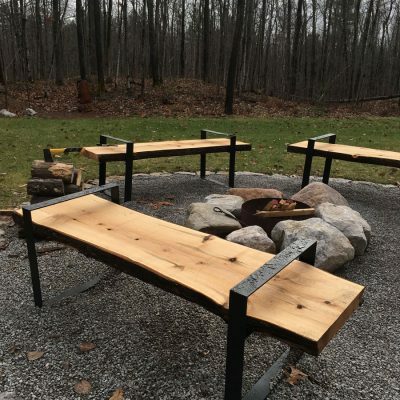 Living in the beautiful Kawartha Lakes area, Sandy has the privilege of seeing many of the creatures she fashions … the blue heron, pileated woodpecker, ducks, turtles, hummingbirds.